Amramp will be one of more than 200 companies hosting a booth at CMSA's 2014 Expo, where we will share information about our accessibility products and adaptable ramp technology with thousands of professional case managers from across the country. The conference caters to all experience levels, from new/entry-level case managers, to business owners, or for non-case manager health professionals who wish to learn more about how case management works in the healthcare system. Dr. Michio Kaku, author and researcher famous for his work in Einstein's unified field theory and also using science to predict business and financial trends, will deliver a keynote speech at the conference. His books include Physics of the Future, Physics of the Impossible, and Hyperspace and Visions: How Science Will Revolutionize the 21st Century. Keynote speeches will also be given by retired US Navy flight surgeon and NASA astronaut Jerry Linenger, as well as US Marine Corps veteran and Medal of Honor recipient Sergeant Dakota L. Meyer. Concurrent educational sessions will be given at Basic, Intermediate, and Advanced levels on a vast number of topics, allowing attendees to customize their learning experience to specifically fit their needs and interests. Case managers will also have the opportunity to earn professional continuing educational credits (CEs) and to view poster presentations by their peers in the field. Masters Content for Advanced Practice Case Managers. 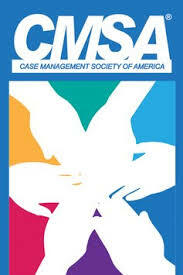 Amramp is eager to join top case managers at the CMSA 24th Conference & Expo, which promises to be among the most dynamic educational gatherings for healthcare professionals in 2014. If you will be attending the conference, do visit us at the Amramp booth #443 to meet John Wright, owner of Amramp Cleveland and members of his dynamic team – Jim Starek and Sean Amos!